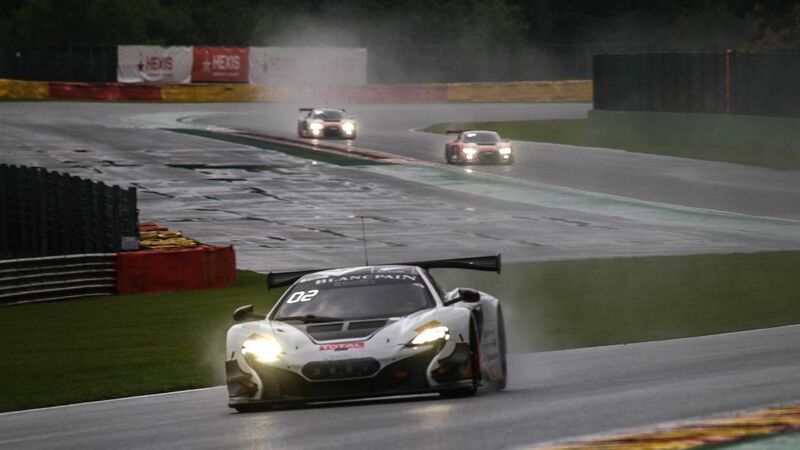 The McLaren 650S GT3 was subjected to the most demanding test to date this weekend with two examples of the latest model from McLaren GT racing in the Total 24 Hours of Spa. Lining up against arguably the most competitive GT3 grid in the world with McLaren GT customer team Von Ryan Racing, drivers Alvaro Parente, Bruno Senna and Adrian Quaife-Hobbs brought the #59 650S GT3 home tenth in the PRO class, and 18th overall. 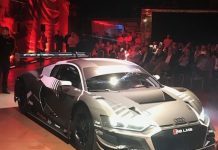 The driver line-up announced for the 2015 season underlined the determination and commitment by Von Ryan Racing to compete in the Blancpain Endurance Series, but also to mount a viable attack on the championship. McLaren GT works drivers Rob Bell (UK), Kevin Estre (FR), Alvaro Parente (PT), Bruno Senna (BR) and Shane Van Gisbergen (NZ) join GP2 star Adrian Quaife-Hobbs (UK), and the resulting line-ups are among the strongest on the grid. Von Ryan Racing, led by team manager Dave Ryan, showed strong pace in the qualifying sessions ahead of the race, and the Super Pole saw factory drivers Kevin Estre and Alvaro Parente secure grid slots on the front two rows. The sudden-death competition for pole position saw the top four drivers covered by less than 0.2 seconds, with Estre narrowly beaten to the overall pole by just 0.017 seconds – or 86.2cm. The race itself saw the 650S GT3 make a dream start, with the #58 car of Kevin Estre taking an early lead away from the rolling start. Parente followed his teammate through the gap down to Eau Rouge, and the McLaren pair set about optimising the clear track in tricky, wet conditions. The heavy rain resulted in a number of incidents around the circuit as the race progressed, and a number of prolonged safety car periods and changeable weather tested the drivers and the team strategies to the limits. As evening approached, and light faded across the Ardennes Forest, the Von Ryan Racing pairing was in a good position, showing strong pace with both cars comfortably in the top 10. 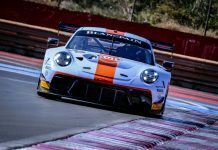 All drivers were posting consistently competitive times, but Van Gisbergen, in only his first full year of GT racing, proved his talents with an inspiring drive to bring the #58 650S GT3 back into contention for the lead going into the second half of the race. Following a routine pitstop for fuel and tyres, a collision with a backmarker caused damage which required a period back in the garage, but the Von Ryan Racing team had the car turned around and back out on track with minimal time lost. Shortly after this, the #59 sister car of Parente, Senna and Quaife-Hobbs was also involved in a racing incident causing damage and requiring repair work to be carried out. Again, the team managed to fix the issues and have both cars back on the track ready to begin an assault on the final few hours. Both driver line-ups worked tirelessly to bring the team back into contention, pushing for a top ten finish in class, and top 20 overall. However, in a cruel twist, the #58 car of Bell, Estre and Van Gisbergen which had led the charge suffered an engine sensor failure with just two hours to go, bringing an early end to the race for one half of the Von Ryan Racing garage. As the clock ticked down, Parente, Senna and Quaife-Hobbs looked to capitalise on the high attrition rate affecting all parts of the grid in the final hours. One final pitstop with 30 minutes to go allowed a sprint finish for Quaife-Hobbs in the battle-scarred #59 650S GT3 which crossed the line to claim P10 in the highly competitive PRO class, and P18 overall after a gruelling 24 hours of racing. Andrew Kirkaldy, Managing Director, McLaren GT ‘What a race. From the first practice and qualifying sessions, the cars, the drivers and the team has worked perfectly, and qualifying showed that the 650S GT3 really is here as a true contender. The race itself was one of the most exciting I can ever recall watching here, and Spa has played host to some fantastic battles over the years. 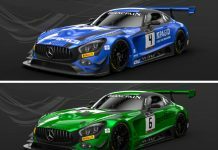 To have six different manufacturers all in with a shot of taking the overall race win at different points shows the competitive nature of the Blancpain Endurance Series, and it was tense all the way to the end.